Hey there! Sorry for the late post. I posted a short post earlier, but my swatch was a blurry bad picture, so I'm starting from scratch for today. 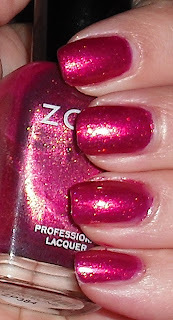 I know the Zoya Exchange is going on until June 30th (for more info click the link). I know there are may posts like this, but I swatched all my Zoya's a figured I'd share them with you. I hope this may help some of you pick out some polishes! I'm sure you see a common theme here "gold shimmer throughout". 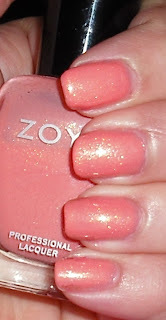 I think this is what I love most about Zoya and what really makes their polishes unique and beautiful. Of course, not all their colors are like this, but many of them are. That's all of them I'm sharing today. More to come tomorrow! Omg, Anthea and Cassi are super gorgeous! 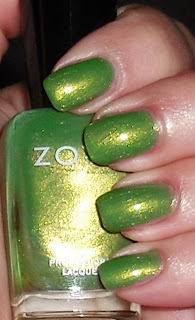 wow, you only posted a few but suddenly i have two more zoya lemmings! i must have cassi! and anthea is gorgeous too, reminds me of florida! i love your profile pic too!